One of the top 20 selling craft breweries in the US sits just 40 miles north of San Francisco in Petaluma, California. 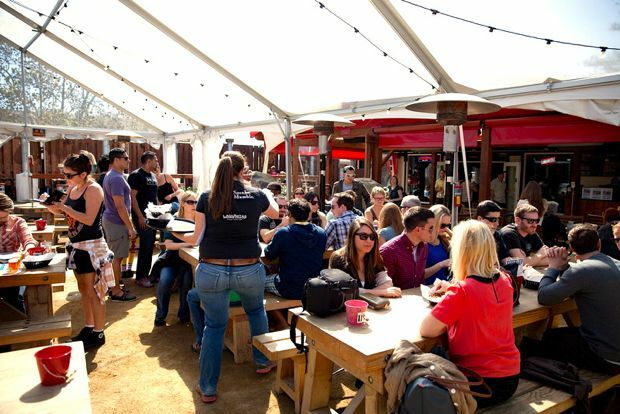 Lagunitas Brewing Company boasts not only a wide selection of their popular craft beers, but also a full menu of food, and a tented patio, which make the brewery an ideal day trip destination for those looking for some relaxation outside of the city. Earlier this month, a friend organized a big group trip up to Petaluma to spend the day at Lagunitas. We rented the Google Shuttle, packed 70+ friends on board, and set out for Petaluma. When we arrived, several tables had been reserved for our group on the sun-soaked patio. We got settled quickly, ordered some food, and then the beer tasting began. While I was already quite familiar with the popular Lagunitas IPA, scanning the menu there was an overwhelming array of options, ranging from the familiar to some seasonal ales. Luckily for beer aficionados, on the menu is the “Around the World” flight, which offers a tasting portion of 16 different beers (nearly all of the beers that they have on tap) for just $21. 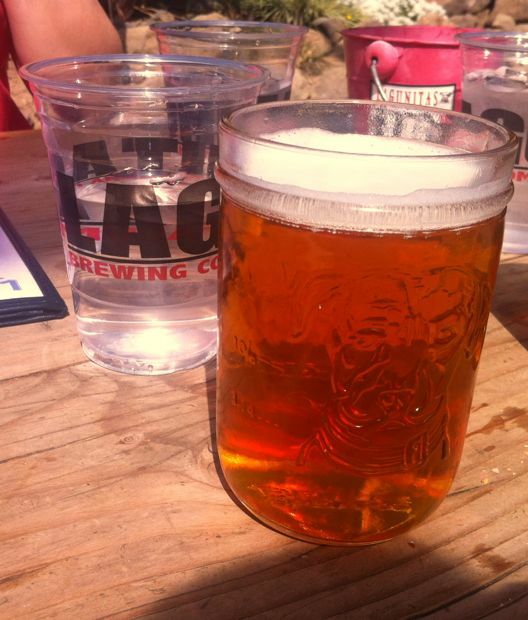 Lagunitas’ beers tend to err on the hoppier side, which, as an IPA fan, I personally enjoy. 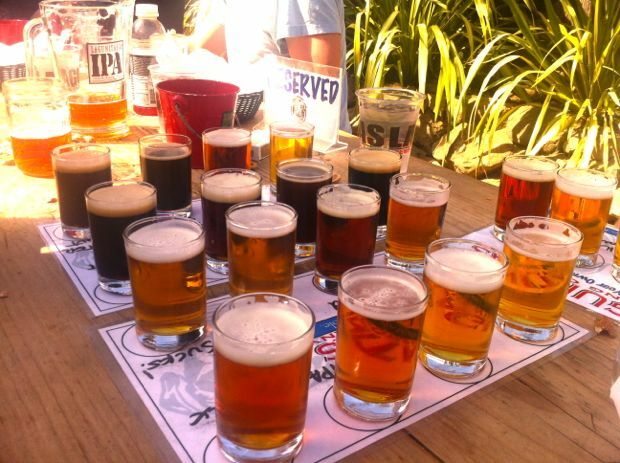 All in all, a trip across the Golden Gate Bridge to the Lagunitas Brewing Company proved to be a great way to spend the day with friends while exploring the world of craft beers. This entry was posted in Do, San Francisco, Taste and tagged beer, brewery, craft beer, IPA, Lagunitas, Lagunitas Brewing company, Petaluma.